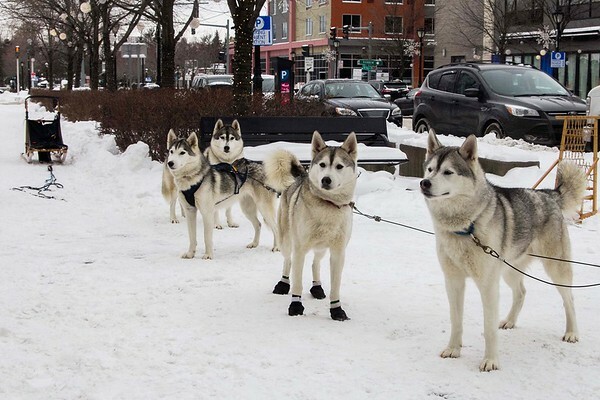 Members of the Siberian Husky Club of WNY stopped by Old Falls Street Saturday. From back to front are Jack,Laurel, Sam, and Gus. The club holds various events throughout the year.